In this special edition of Total Health News, our ayurvedic expert — a world-renowned ayurvedic researcher and educator — discusses the popular ayurvedic remedy Triphala. Q: Triphala, contained in MAPI's Organic Digest Tone and a major ingredient in Cholesterol Protection, is one of the most famous herbal compounds in ayurvedic medicine. Can you tell us what it's made of? A: Certainly. Literally it means "three fruits, " with tri meaning "three" and phala meaning "fruit." The three fruits contained in Triphala are Haritaki, Amalaki and Bibhitaki. There is a saying in India that if a vaidya (ayurvedic practitioner) knows how to use Triphala properly, he can heal any disease. It is highly revered in Maharishi Ayurveda. When these three fruits I mentioned are combined as Triphala, they form a very powerful Rasayana. A Rasayana is the most highly refined and powerful herbal and fruit combination in ayurveda, and is known to promote long life and rejuvenation. A Rasayana promotes ojas, the material equivalent of bliss. Ojas is the finest product of digestion, and prevents disease, creates luster in the skin and rejuvenates the whole body. But because it is slow, you can take it for longer periods of time, and then it has a deeply purifying effect. It goes deeper into the physiology and releases the toxins at a much deeper level. Q: What do you mean by "going deeper" into the physiology? A: There are seven tissues (dhatus) in the body, and they form in a sequence. Starting with Rasa (the nutrient fluid derived from food), the tissue chain progresses to Rakta (blood), Mamsa (muscle), Meda (fat), Asthi (bone), Majja (bone marrow) and Shukra (reproductive fluid) in a chain of reactions that is sequential and orderly. Organic Digest Tone cleanses toxins up to and including the fat tissue. You can see that this is a much deeper effect than just cleansing the bowel. It cleanses toxins from the nutrient fluid, the blood, the muscle and the fat tissues if used for a long enough time. Because it detoxifies the blood, muscle and fat tissues, it is excellent for preventing skin disease. And because it removes ama (toxins) from the fat tissue, Triphala also helps balance cholesterol. 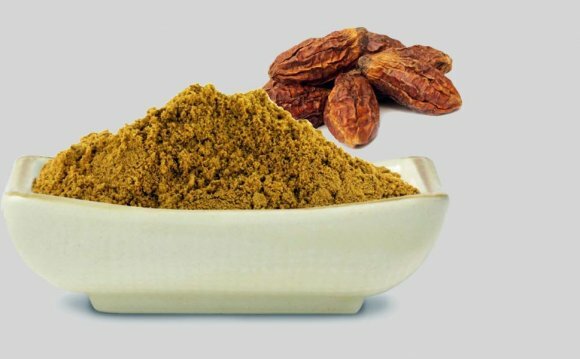 Triphala can also repair any damage that has occurred in the intelligence of nature that governs the transformation from one tissue to the next. It is in the gap between the tissues that the intelligence of nature operates, and if there is any damage, Triphala can repair and reset the chain to enable proper transformation of one tissue to the next. That's what makes it a very great Rasayana. Also, it has two of the three major herbs contained in Maharishi Amrit Kalash, which is the most highly refined and rejuvenating Rasayana of all. Q: What are the other benefits one can expect from taking Triphala? A: Triphala also purifies the urine and prevents urinary tract disease (prameha). It enhances all thirteen agnis (digestive fires), especially the pachagni, the main digestive fire in the stomach. It pacifies Kapha and Pitta, and if taken regularly, is a powerful anti-aging Rasayana.